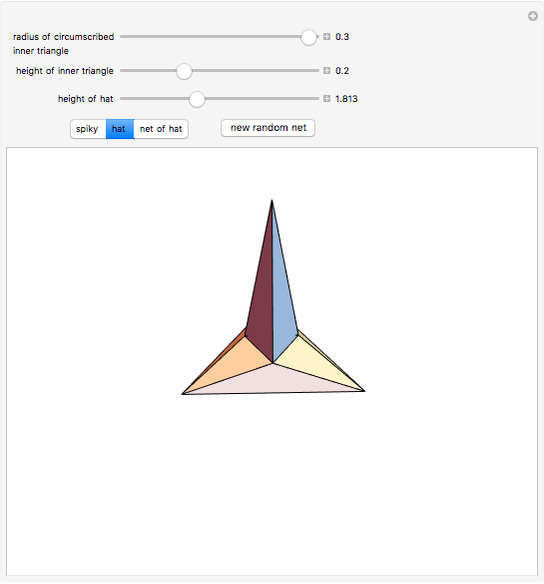 This Demonstration shows a "spiked tetrahedron" of Bern et al. . It can only be unfolded with overlaps since one quarter of it (a "hat") can be unfolded only with overlaps. In  a polyhedron that can be edge-unfolded only with overlaps, is called an unfoldable polyhedron. 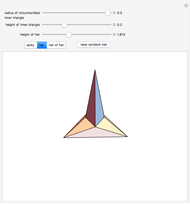 The proof of the unfoldability of the spiked tetrahedron can be found in . 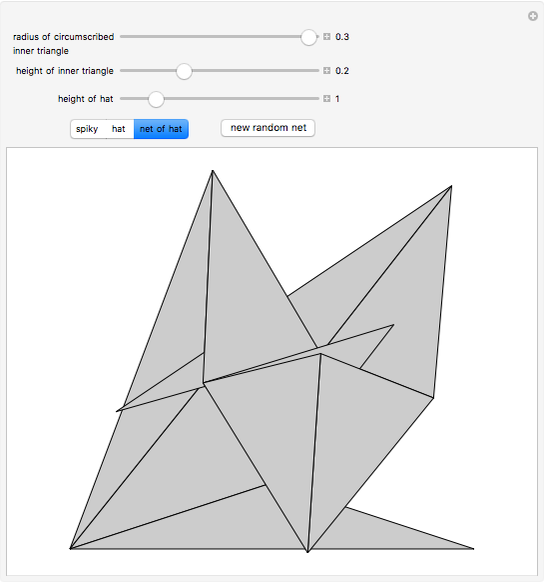 M. Bern, E. D. Demaine, D. Eppstein and E. Kuo, "Ununfoldable Polyhedra," in Proceedings of the 11th Canadian Conference on Computational Geometry (CCCG'99), Vancouver, 1999 pp. 13-16. www.cccg.ca/proceedings/1999/fp38.pdf. 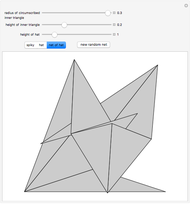 E. D. Demaine and J. O'Rourke, Geometric Folding Algorithms: Linkages, Origami, Polyhedra, New York: Cambridge University Press, 2007, pp. 318–320. 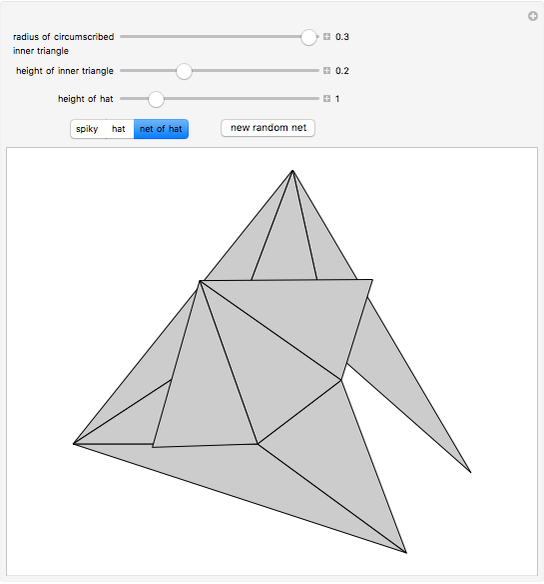 Izidor Hafner "An Unfoldable Polyhedron"